We finished our touring for the day by visiting a Syrian bunker on the border of Israel. It was really something to see! There was an entire web of underground tunnels setup to attack Israel. 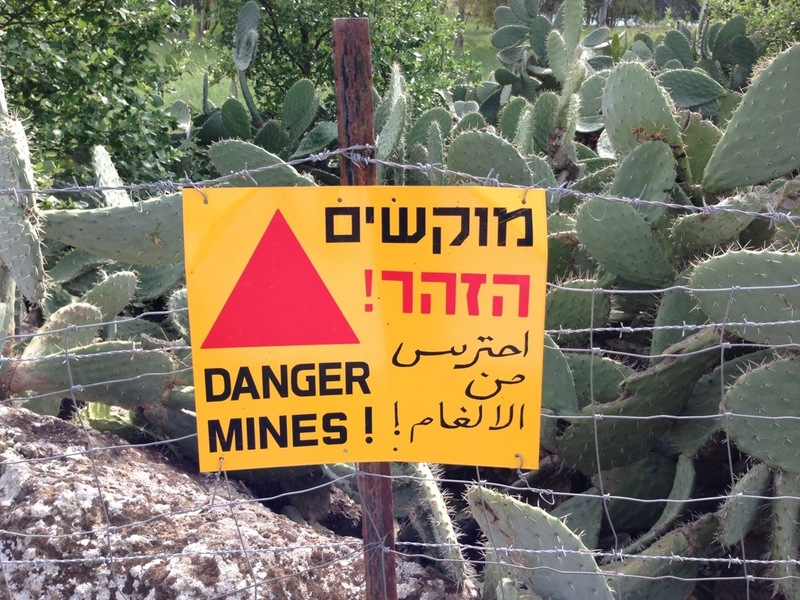 The whole area was surrounded by land mines. The bunker that we visited was taken by Israel during the 6 Day War. It was eerie looking out of the bunker and imagining being able to see the Israeli army advancing towards you. Our guide said that they found the Syrian soldiers chained to their weapons so that they had no choice but to stay and fight. It was said that in the past 4,000 years Israel has experienced roughly 150 years of peace -most of which were in the days of David and Solomon.